The Samford debate team of Moriah Windus of Ozark, Alabama and Kevin Aubrey of Lafayette, Louisiana, won the Cal Swing 1 debate tournament at the University of California-Berkeley Jan. 3-5. The pair defeated teams from St. Mary’s College, University of Nevada Las Vegas, California State University Long Beach, San Francisco State University and Indiana University before besting a hybrid team from Rutgers University and Binghamton University in the finals. The team won 15 of 16 ballots at the tournament and Windus was named second speaker. Kiarra Broadnax of Smith’s Station, Alabama, and Dovie Stem also competed at the tournament, defeating teams from the University of Washington and San Francisco State. 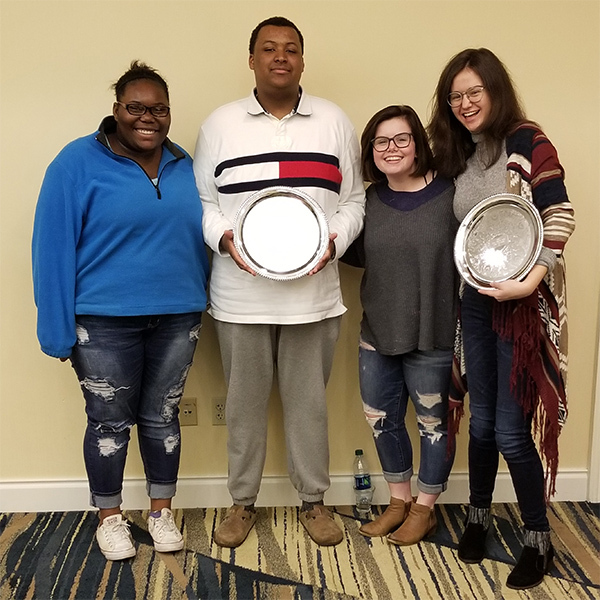 The busy debaters returned to campus to host Samford’s Bishop Guild High School Tournament and prepare for their next competition at the Hoosier Debate Tournament at Indiana University Jan. 20-22.